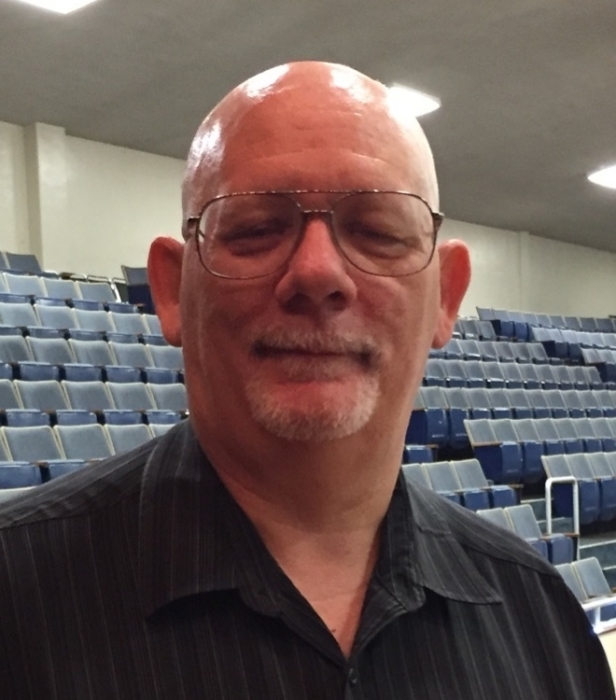 Kerry Lee Larsen, 61, died Sunday, April 7, 2019 at his home in Edwards, Mississippi following a lengthy illness. He leaves behind his wife of 20 years, Ellen (Kussman) Larsen; his son,Brandon Larsen and his daughter Erin Larsen, both of Hastings, Nebraska; his siblings Rodger Larsen , Mary Dale Lynch, Cathy Winegarden and Valerie Grey all of Hastings, Nebraska; three grandchildren, Ethan Hale, Calum Hale and Finley Hale; many nieces, nephews, cousins and close friends. He preceded in death by his parents Dale Marvin Larsen and Mary Jean (Drury) Larsen, and by his elder brother Ed Larsen. Born August 8, 1957 in Longmont, Colorado, he was raised in the small Nebraska town of Hardy. It was in the fourth grade at the small Hardy School that Kerry and Ellen first met and became life-long friends and even went to the prom together in their freshman year. Kerry’s vocational life was dedicated to service to his nation and he held the distinct honor of serving in three branches of the military. Upon graduation from high school in 1976, he enlisted in the United States Air Force. In 1981, Kerry served in the United States Navy until 1987. Finally, he served in the United States Army from 1988-1989. His military service also includes a tour with the Army Reserve in his home state of Nebraska. After completing his military service, Kerry served in various positions within the federal government. Most recently he served as Public Affairs Specialist for the Public Affairs Office of the U.S. Army Engineer Research and Development (ERDC) located in Vicksburg, Mississippi. He not only took pride in his work, but truly relished the friends he made during his time at ERDC. Kerry had many hobbies and interests including a passion for animals and he enjoyed tending to his horses and other stock at his home in rural Hinds County. Many a day, he would spend cutting the grass in his pasture or fixing fence. He also had a love for the American Old West and all things cowboy, as you would find him day to day in his boots and hat and he was an avid student of the Old West and loved to study western history especially as portrayed through films. He enjoyed leather work, woodworking and music and he loved to play guitar. Most of all he loved to laugh and it was one of his joys to start each work day by sharing funny stories or Facebook posts with others. A special service will be held for family and friends at Glenwood Funeral Home, Highway 80 East in Vicksburg, Mississippi, on Friday, April 12, from 5pm to 7pm.